That's why farming is so called...! It is a small and picturesque village, the pretty name of Maçanet de Cabrenys, perched in the Spanish Pyrenees that inspired Mr René MOLI to file by April 30, 1936, with the Société Centrale Canine kennel name of CABRENYSSET. But to better understand the life and destiny out of the ordinary for this exceptional man, must be resumed from the beginning, its amazing history. 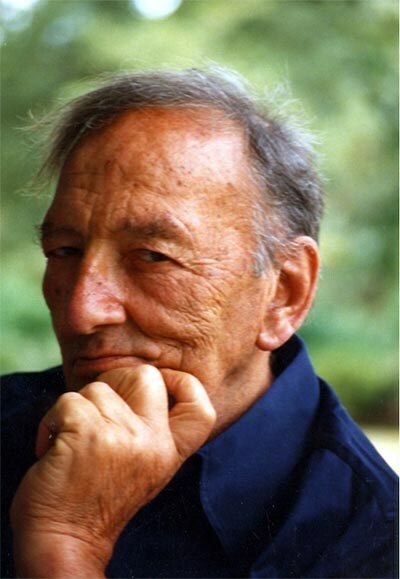 Born May 28, 1910 in Perpignan, historic city and Catalan culture, René was the seventh child of a family shopping, easy and honourably known. But, at this time, maternity hospitals are, alas, not always desired and René arrives as the ugly duckling of a famous tale for children. Therefore, is it away, from the age of 4 years, in Ceret, small village not far from there, to the local school. Was promised, to mollify to provide.. .a little dog! But the days will pass and the promises will fly away. The little René, appalled by this deception and lack of maternal tenderness, is the oath that one day, when it will be great, there dogs, many dogs, dogs in him alone. I was 4 years old. Probably was I a kid like so many others, even if this was not the opinion of my mother... I was the 7th, which would give him the knowledge of a child. It is true that this dignified woman was not very attracted to maternity hospitals and that, if it has developed the world eight Meanies (there was after me the wonder of wonders), it is there first my father, then his stiff dignity and finally his religious views. Four years for a full of mischief child who furetait everywhere, were in every nook and cranny, which can hide nothing, seniors taking care of wake him, does need no more to disturb the family peace. Also to my overflowing vitality, my mischief, Madam my mother, anxious in the first place of its tranquility, loving not great thing else in life... not children... just his... no flowers, no animals, no laughter, creating in this misunderstanding that was to last our lifetime, my mother so decided to send me a friend in Céret... delicious catalan villagenot for gaver me deemed cherry, but to me put to the nursery school, that his social rank forbade him, she thought to Perpignan. It was thus hoped to mater me and above all, I débarrassais everyone... Phew! My entry to kindergarten, what a disaster! Cries, kicks, cursing of unruly kid, but not a cry, I never knew. The friend, I called Lisotte, is discouraged not and, in order to placate me, plotted with the Cerberus of mellowing me, promise me a beautiful little puppy to fofolles ears, and who was with father and mother in a small pen, just in front of a building that the discretion should have place further. If you come to school, told me Lisotte, I assure you that Madam will give you a beautiful little dog... Wish, that look you... there... the biggest! He didn't further the restive foal let coax and now beat, accepting the class. Blouse, tie with polka dots, colored pencils, Slate, nothing is missing, and I regularly attended school: I wanted to my dog. Fifteen days pass, and every night, I called and every night the same answers: be wise, take patience, it is still too small or he ate enough or should wait until her mom is gone... In short, there was always a reason which, for me, was not valid, since ever I had my dog. It was too much. Including played me, I was seized with a sudden fury, calling for the last time, loudly and with a selected vocabulary, the much promised. Before a new lie, I approached Madam who gabbled in the middle of the wendymeola, and imitating the dog, I thoroughly arrosai his leg of a denunciatory jet. His surprise was short, but indignation, the shame of Madam was comical, except that the Director, the next day, accepted more 4 years kid in his house... of good reputation. Relieved, of course, collapsing the walls of my prison, I was still not very cheerful this decision: it deprived me forever hope to have my dog. Everyone knows that the sorrows of child pass quickly, but that their fixed ideas - like memories, are-stubborn. This day comes my vocation as a breeder because that day, I vowed to have dogs, lots of dogs, dogs to me, nothing to me, and I had! The years pass, sometimes difficult, and found a young demonstrator in pharmacy that will finally be able to realize his project: raise dogs! 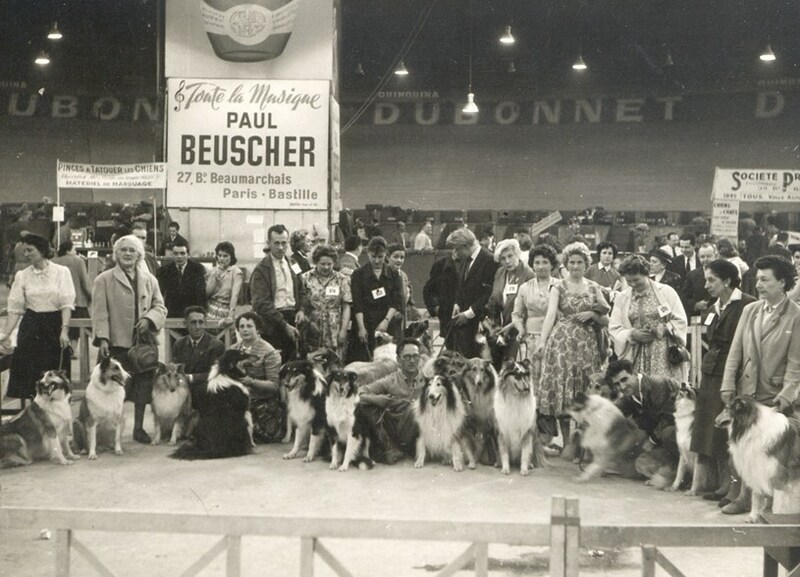 So Rene, in the company of Lucien Brial, opens in Perpignan - probably a way to taunt Madam - Japperie, a Kennel that will include several races to fashion: Loulou's Pomeranian, poodle, German etc. 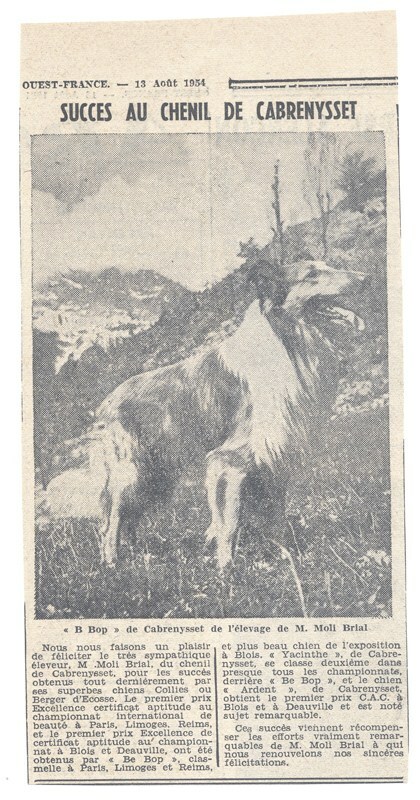 Shepherd and in 1933... his first dog Colley: HELLEE of the MEYFRENIE, whom he falls madly in love. In may 1934 the Société Centrale Canine is a redesign of the French origins book. René took the opportunity to register the PREMEAUX Highness (LOF 1 - Col. 1), GYP of the MOORS (LOF 1 - Col. 2), YOO HOO's BEAUTY YALDEE (LOF 1 - Col. 3). The latter being the parents of HELLEE which is assigned the number 1 LOF - Col. 4. 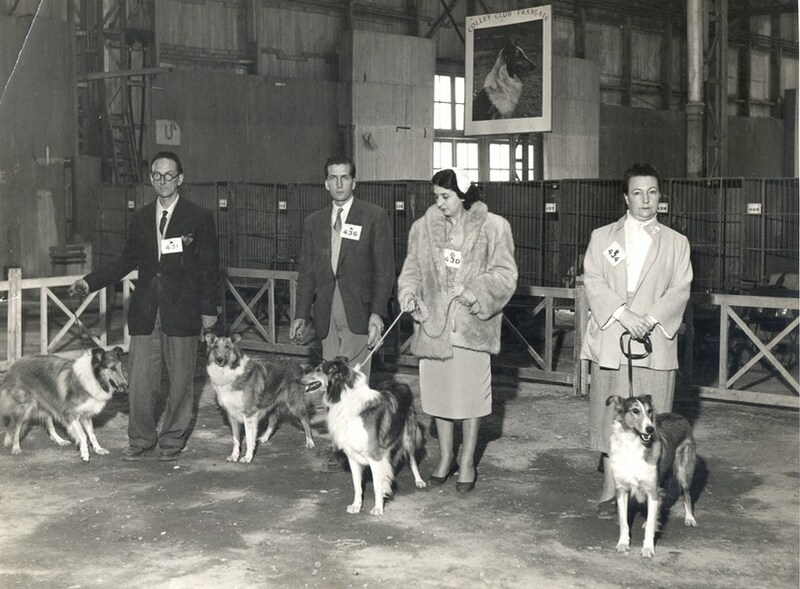 April 30, 1936 will be deposited the kennel name of CABRENYSSET under which born her adorable and adored: KENNY of CABRENYSSET, a daughter of Fiat of Baroness and Hellee of the Meyfrenie. 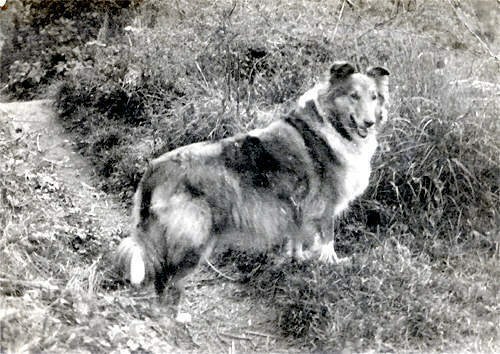 It will be followed by many others because it must be remembered that at this time, the Collie is truly the dog Deluxe par excellence and that only high society, the image of Queen Victoria, can boast of owning this great Lord. In addition, farmers are very numerous and urgent requests. 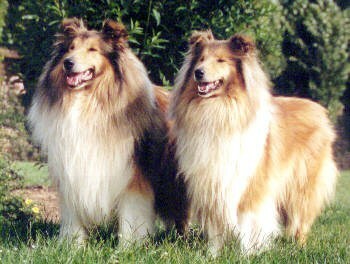 Therefore, to have a Collie, be rich and.. .patient! After a hiatus during the second world war, René decides to break permanently with his family and his family and moved to Randonnai (Orne), lieudit La Motte Rouge. We are in 1952. Green surroundings, a beautiful and vast property, a large house in bricks, three lakes nearby and... a moral foolproof, all conditions were thus met to flourish, life-size, this childhood dream if annoyed. 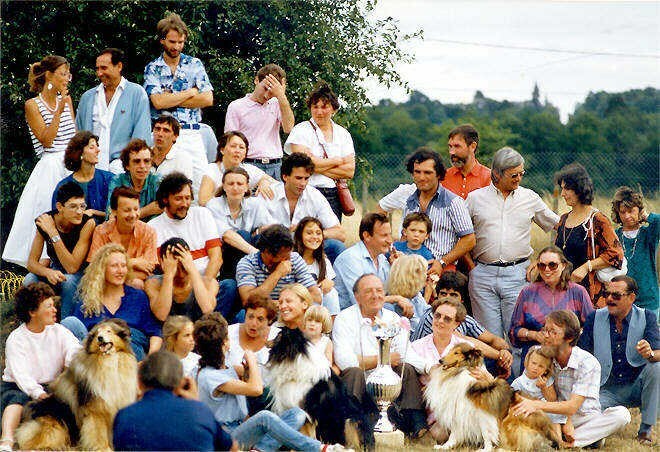 With others, born under the kennel name of CABRENYSSET he arrived in 30 champions who have helped, no doubt, to the success of the race in France, but also to the vocation of a number of new breeders. It is in this favourable context, joining the famous PAL of histories of Lassie, the less famous but equally beautiful ARDENT DE CABRENYSSET accompany Mireille Granelli and Gilbert Bécaud during the filming of the movie the women of others under the direction of Claude BARMA. Lot of livestock, in Paris in 1952. 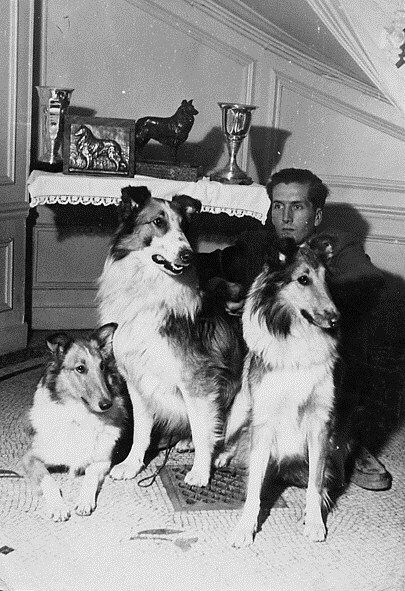 René is kneeling among dogs. It is recognized on the far right, Ms. Grellier, Mandailles farm, established in 1949. 1954: Ch Cabrenysset Bee - Bop is ranked first. It recognizes Lucien Brial in 2nd place, Madam Andrée Grellier right. In 1964, René must leave the Motte Rouge. He moved to Noah (a predestined name) located on the Commune of Boissy-lès-Perche (Eure et Loire) where livestock is still currently. But at the time, this old farm abandoned, without a tree without a fence without comfort is rather inhospitable! So should all start again, all redo, rebuild, all develop. Daily efforts of past sweat! Not to mention that we must also take care of the large family four-legged! Many collies, some Shetland and also from small spaniels Breton to do, as he said himself, boil the pot! Fortunately, the rewards occur, notoriety is consolidated. It is quite rightly that he is appointed judge called the Inc. for the Collie, but also for the Shetland and Bearded Collie. In the rings, it will be very quickly appreciated for its application, skills and integrity. His good humour and courtesy will always accompany his comments and advice for the novice exhibitor. René Moli downtown accompanied Jean-Luc Lagasse to his right and Ms. Perez to his left. Occurs then, because this always also capricious that neglected health, a period difficult sequences of doubt and discouragement, but quickly erased by the joy again to the world of pretty babies and be visited by a few friends. They will help him overcome these tests him speaking of splendid English from interesting lines dogs who would be suitable perfectly for his herd. It does no more to René to get back to work and devise new plans. So LYNWAY SNOOPY, it chooses itself among a string of very resourceful puppies will arrive in France in 1984, in charge of a vital mission: restore confidence to that until now, wanted never throw in the towel. 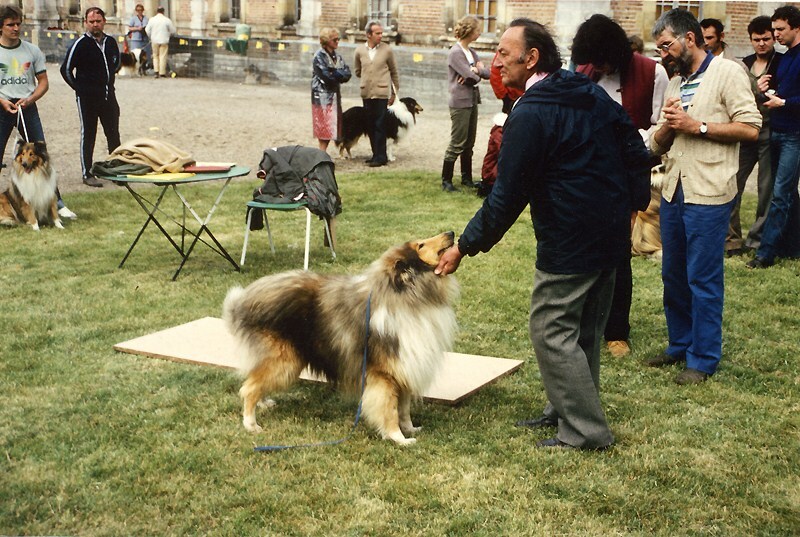 Snoopy will become in 1987 Ch de France front of nearly 400 dogs the exposure of national of breeding of Rambouillet in the judgments of Ms. Perez. 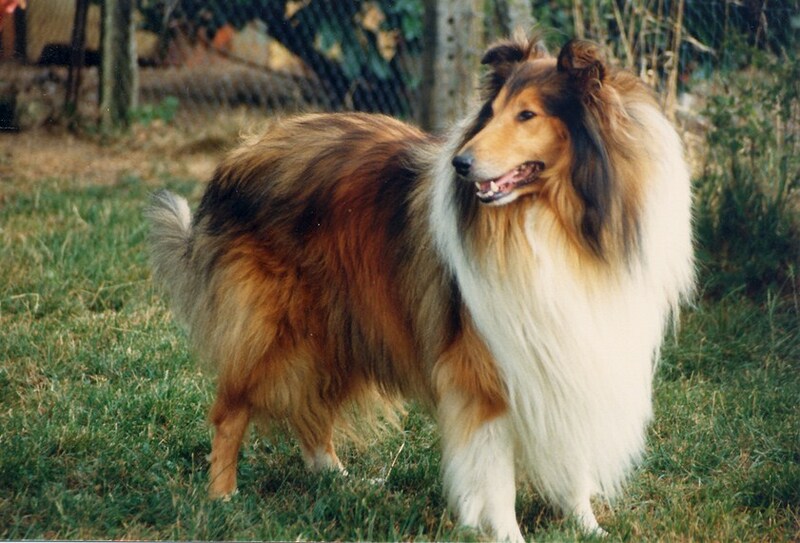 The extreme kindness of Alan CLARKE and his entire family, the quality of her collies will seduce René and friendly and trusted ties that will lead him also later to other imports. We take the opportunity that is offered to us to thank again very warmly. 1986: A great year, that of the fiftieth anniversary of the livestock, which will bring together very many of the faithful for a party that will remain memorable only loaded because of great emotion. Will next year be about as much since the many qualities of SNOOPY will be a Champion of France then it will be the arrival of the subject which will be decisive for the rest of this adventure: SUPER TED OF LYNWAY Teddy immediately surprised his entourage by its extraordinary vitality, his permanent curiosity, intellect and its morphological qualities, the promisor to a brilliant career. It will very quickly get the envied title of Elite. 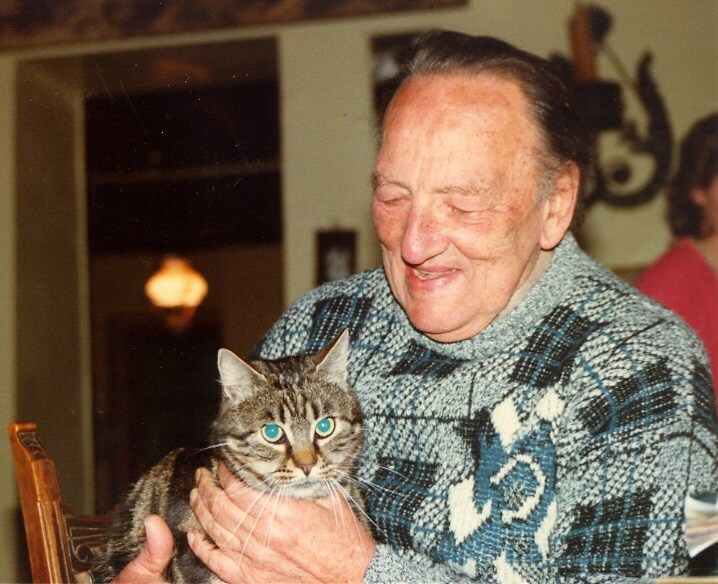 In 1989, the French of the Shepherd of Scotland Club recognizes the merits of René in appointing him Honorary President. Alas, in the fall of that same year, evil gnawing it inexorably will eventually overcome its resistance and imposed a final hospital stay that would forever deprive him regain his dear companions. January 7, 1990, it turns off all gently, leaving in its wake the remembrance of exemplary, brave and talented man and including the total abnegation requires compliance. Thank you, Rene, for your talent, your knowledge, your courage and your passion. We will forget, man's heart that you were, nor the considerable work that you have accomplished for the French chess. Be assured that we will have for goal to earn the trust you well wanted to grant us.